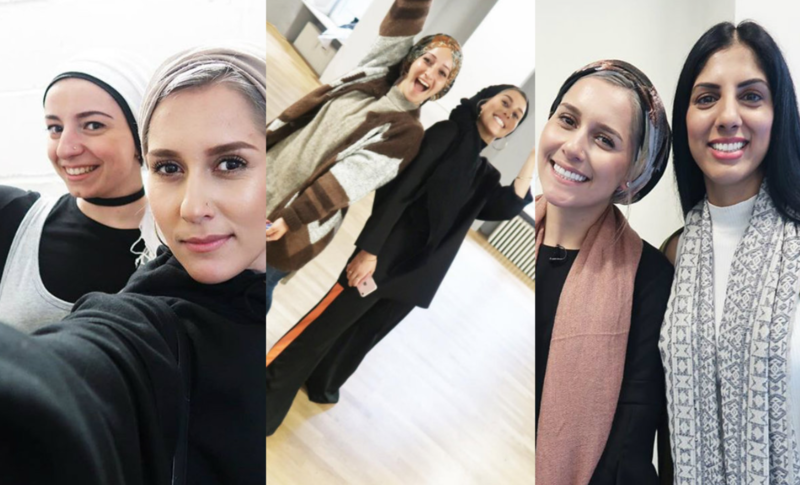 On November 1st, 2017, Muslim YouTube phenomenon Dina Tokio premiered her documentary project “#YourAverageMuslim,” a four-part Creators for Change series produced by YouTube. This documentary is a prime example of the meaningful feminist digital activism being undertaken by contemporary Muslim women. Such activism seeks to reframe the discourse around Muslim women by showing that successful, independent and bold Muslim women are not the exception, but the norm. For centuries, Muslim women have been subject to the Orientalist gaze, which paints Muslim female bodies as exotic, veiled, and oppressed victims in various visual and written depictions. These depictions have largely shaped the experiences of average Muslim women, who must deal with constantly being stereotyped by the public as victims of their culture and religion. These Muslim women have now taken to the online world to fight against these stereotypes. By using online platforms to make documentaries such as #YourAverageMuslim and music videos like “Somewhere in America #Mipsterz” (both of which received millions of views online) these women have been quite successful in extending their perspectives to wider audiences. “Somewhere In America” – dir. Habib Yazdi from XY CONTENT on Vimeo. #YourAverageMuslim highlights the lives of three Muslim women in Europe – Dalya Mlouk, Emine, and Sofia Buncy. Dalya Mlouk is the world’s first female hijabi power-lifter, who has broken the world record for deadlifting in her age and weight category. German hip-hop dancer Emine dominates Berlin’s underground hip-hop dance world, and is the first hijabi dance teacher in Europe who also owns her own dance school. Sofia Buncy stands out from the other women, in that she doesn’t wear the hijab, but works primarily in an overlooked area of social work, catering to the needs of Muslim women in prisons. While all these women are doing exceptional work, whether it be individual or community based, the aim of this documentary is not to showcase how exceptional these women are. Rather, its priority is to normalize the idea that your average Muslim woman may come from diverse backgrounds and is successful, multi-talented, and determined to live her life the way she chooses. Western media representations of minority groups play a large role in shaping how the public conceptualizes its notions of such groups. When these conceptualizations are depicted repeatedly, they become normalized and shape the experiences of minority group members. #YourAverageMuslim seeks to disrupt those representations by normalizing an alternate conceptualization that refrains from reducing the complex nature of the Muslim female experience in the West. This project is unique as it is dedicated specifically to showing amazing women who are not breaking any stereotype, but are instead leading #YourAverageMuslim life. Inaash Islam is a PhD student in Sociology at Virginia Tech. She specializes in the areas of race, culture and identity, and focuses specifically on the Muslim experience in the West. Muslim communities generally share what California and New York would consider conservative social values. Gay rights are subject to surprising amounts of resistance in muslim communities, that resistance polling in the high 50's even among some young cohorts. But things change for people as they are subject to influences from birth. I'm wondering about the first generation versus second generation immigrants and what tensions there might be within migrant muslim communities...it's pretty standard in ethnic studies classes to carefully delineate the differences in viewpoints between the parents of immigrants children and the children themselves since one doesn't have to be a genius sociologist to wonder about the different development and influences for the children as opposed to the established cultural tropes of the parents. The San Diego candidate sounds like a progressive millenial... We might see playing out, based on the candidate in San Diego's race, the profound changes to a generation of young muslims, based on their experiences here in America. Nursery lesson on Religion and God. A little inspection (the one I did for writepaperforme research on religion) would reveal that religion per say has little if anything do with god, higher self, supreme soul, or holy spirit call it whatever you like. If someone believes in god, and wants to connect with god, there is no need of any middleman aka a priest, an office - a church, synagogue, mosque, or temple, a method aka ritual or worship, a word aka an incantation or hymn. If someone wants to connect with god one can do it directly as one wills whenever, wherever one is, or whatever state of mind one is in. Politics in the name of god breeds religions. Those people who have little understanding about themselves, psychology, human behavior or history and motivation beneath invention of abstract concepts like god often fall prey to religion. It is they who suffer because of their ignorance. Fortunately we live in an age where people are becoming more reasonable and scientific. Humanity's scientific knowledge would continue to increase and so would the power of reason. Religions would continue to diminish until they disappear along with their unreasonable followers.